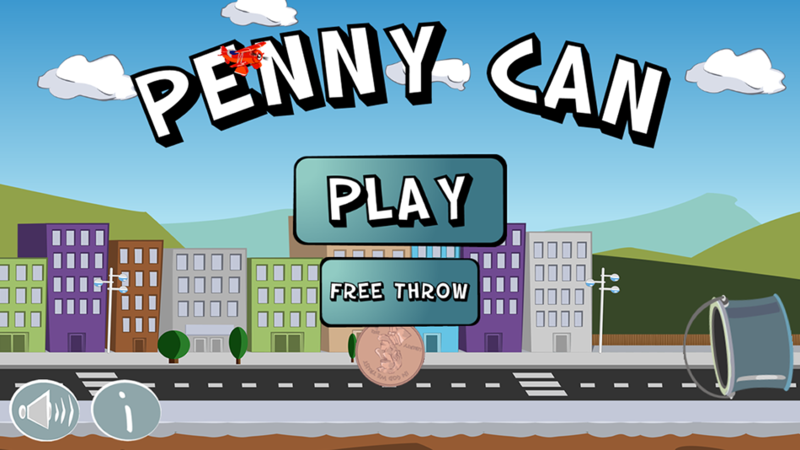 Penny Can is the ultimate street game of the past and it’s now on your device! Play 45 levels of the most challenging and addictive game yet. Can you Penny Can every level? Will you find the bonus points? As you progress through each level you’ll need to decide how best to reach the ultimate Penny Can. Will you sacrifice a penny or two to open up your access, or will you be precise enough to thread your penny through the smallest of gaps. POINTS, POINTS and MORE POINTS. Getting your penny in the can isn’t the only way to score points. Sometimes it’s not even the only coin in play. The question is, do you destroy by penny, or see what you can push in to the can? Can you get 3 stars for each level? There’s something happening to the sky. Play long enough and you’ll notice quickly. Play occasionally and it might take some time. Could that plane be worth points?